Bangladesh Politico: How safe is the current Awami League government? In 2011, however, through a constitutional amendment, the Awami League government, newly in power, ditched the arrangement (which, ironically back in 1996 it had originally campaigned for), claiming that political governments like its own could now hold free and fair elections. The Awami League’s decision was widely unpopular at the time and the opposition boycotted the 2014 election, fearing voter manipulation - however, as a result the Awami League returned to power uncontested, with the party’s contention that it could hold free and fair elections remaining untested. 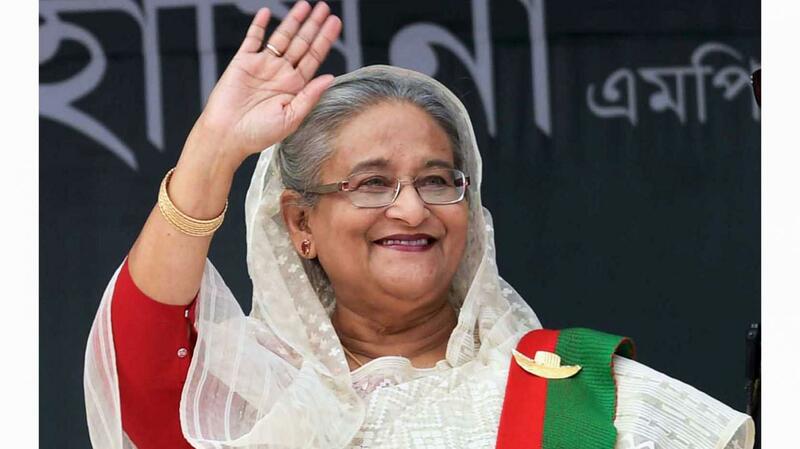 The Awami League had started the rigging weeks before the election with widespread arbitrary arrests of activists from the opposition parties and steps taken to stop their campaigning. The control of the ruling party was so absolute that the capital city of Dhaka looked like it was hosting an Awami League festival as opposition posters, banners and festoons were effectively banned. In Bangladesh, though, elections are won through the control of polling centres and this is what the Awami League did on the day of the vote using the police, army and ruling party activists. As leaked documents showed, “core Awami League” presiding officers were put in polling centres, and “strict policing” was organised to ensure “slow casting” of votes. This stopped opposition supporters from voting and allowed the wide spread stuffing of ballot boxes (which also reportedly took place the night before the vote). One might think you can get an indication of the extent of ballot stuffing by comparing the average 80% voting levels found in the 294 constituencies which used paper ballots (where stuffing was possible) with the average 50% voting levels in the six constituencies which used voting machines (where stuffing was not an option.) This suggests that there was on average at least 30 percent of votes which were the result of stuffing (or just made up). However, one can't in any way depend on the voting machine levels to be accurate - since the Election Commission gave assistant presiding officers an extraordinary power, the ability to use their own finger prints to vote on behalf of 25 percent of voters in their polling station. The voting levels of opposition candidates in some polling centres were so small - for example in the constituency of Barisal-1 where the opposition candidate received 0 votes in 26 centres, 1 vote in 9 centres and less than 10 votes in 40 centres - that one can only assume that opposition ballots must either have been removed from the boxes, or were simply not counted. In most countries, the government would not get away with this. But the Awami League has been in power now for ten years and in that period has decimated the opposition though arrests, extra-judicial killings and disappearances, put in place partisan Awami Leaguers to run just about every state, law enforcement and judicial institution, and have a hugely restricted the independent media. Whilst the BNP does of course have its loyal supporters, the main reason why many people vote for the party is due to their dislike of the Awami League – not for anything positive that the BNP could offer. And whilst this might have been enough for it to have won a free and fair election now (though polls, which many disbelieve, suggested otherwise), it is certainly not enough to bring people out on the streets in its support. The banking sector is also in real jeopardy. Awami League’s business cronies have been allowed to take over private banks and take out huge loans that they will never pay back. Officially over 10 percent of all banking loans in the private and state sector are said to be non-performing, though the actual figure is thought to be closer to 20 percent as corrupt banks allow defaulters to reschedule their loans. It is perhaps a matter of time before one or more of the banks collapses - and this could cause significant public disruption.